Signatures Stay is an affordable and homely property located in Medicity, Islampur Colony, Sector 38, Gurugram. The metro station in the vicinity of the property is Huda Metro Station.The rooms are spacious and well-lit with modern lights. The decor is modern and standard. Equipped with a massive closet and all the basic comforts, the hotel promises a comfortable stay.Each room comes with free Wi-Fi, King-sized bed, geyser, mini-fridge, TV, and AC. 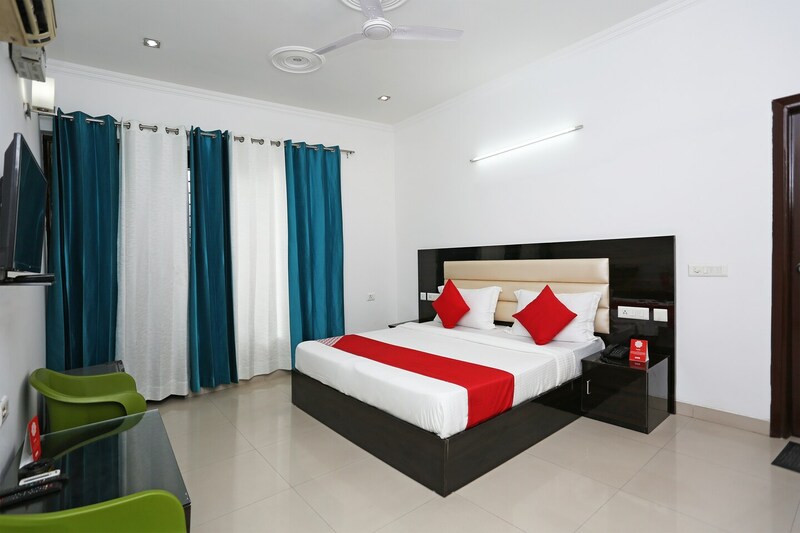 The hotel has a laundry facility, power backup and accepts card payment.The guests can step out for a meal at the nearby restaurants namely Hotel Malabar, Atithi Satkar, CURRYSUM, Deseez, and World In A Box.